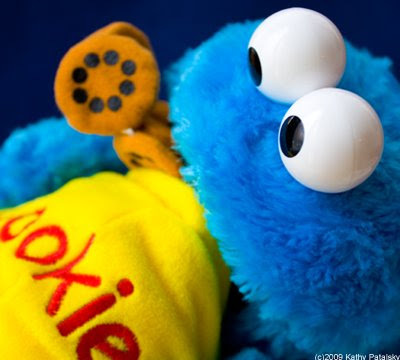 Whoopi calls a Healthy Cookie Monster "Stupid!" "It is not Cookie Monster's fault!" "Sesame Street...is geared towards looking after your child's health, well-being." Sherri Shepherd had a different view on the matter. She is in favor of the healthier food replacements for cookies. She said this about the traditional Cookie Monster: "(Cookie Monster) is not healthy!" 'Healthy' Cookie Monster: My View. Part One. Some of you may be shocked to read this, but I'm with Whoopi. Cookie Monster is a puppet. Well actually a muppet. Not a teacher, parent, relative or neighbor. If you ban Cookie Monster from his cookie eating ways you will need to ban Oscar the Grouch from being grouchy and living in a garbage can. You will have to ban Grover from running all over the place hysterically. Maybe he'll need some ADD meds. And you've got to ban Bert from playing with his pet pigeon Bernice (not the best pet choice) and from getting mad at Ernie so easily. Anger management issues. You might have to take the sharp fangs off of The Count and make Big Bird the size of a real bird. And stop his world travels to China. Bird flu, ya know? Where does it end? Where does the smothering of creativity end? 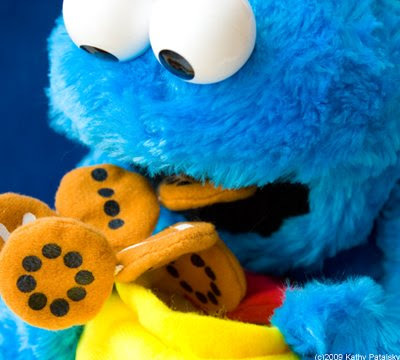 I grew up watching Cookie Monster, and while I'll admit to having a few memories of stuffing a crumbly cookie in my face being a silly 'monster', it in no way affected my actual cookie-eating habits. Part Two. I think it can be just as damaging to teach children that cookies are 'bad' 'unhealthy' foods. You must teach them moderation. 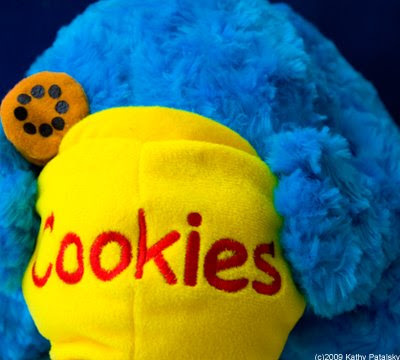 Yes, Cookie Monster is a perfect example of lack of moderation! Use him as a teaching tool. 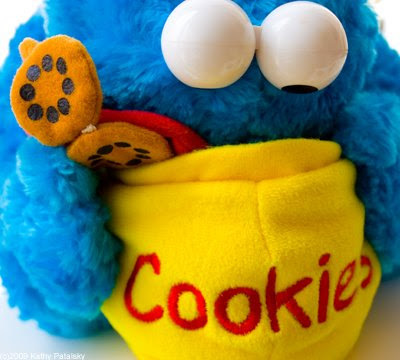 Kids will not be living a life free of cookie eating-so you'd better prepare them, not scare them. Part Three. 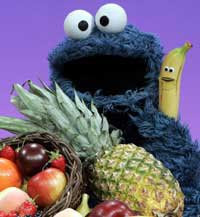 I am all in favor of Sesame Street teaching kids about healthy eating habits. Eating fruits and veggies is good for you! That should be the message. But you must also teach kids to understand the difference between reality and fantasy. 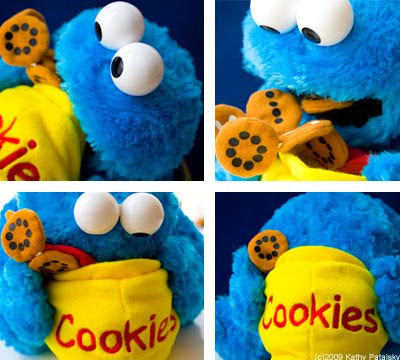 Cookie Monster is a puppet. He's blue. He has googly eyes. He is a monster. And he likes cookies. Kids, don't paint yourself blue, stick googly eyes on your face and try not to raid the cookie jar. Watch the Showdown on The View. Not posted yet, but the Cookie Monster argument should be available on the website later this week. The View. Learn more about the Sesame Street muppets here!